In 2016 alone, more than 11.5 million people reported misuse of prescription pain medicine. HIMSS recognizes the role and value of health information and technology to address the opioid crisis. 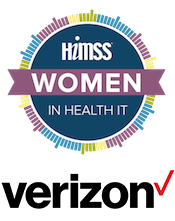 HIMSS also aims to elevate the voices of women who have been fiercely working to address the crisis across the U.S. The objective of this webinar is to tie the opioid crisis with the Women in Health IT community to bring awareness to women’s voices in addressing the crisis. A panel of leaders at the federal and state levels and the HIE space will share their stories on how they came into their current work roles and what they are doing in those roles that ties to addressing the opioid crisis through information and technology. Deb Soholt is a Republican member of the South Dakota State Senate, representing District 14. She was first elected to the chamber in 2012. Soholt has served as majority whip in 2015-16 and is now Chair of Senate Health and Human Services She serves as the co-chair of the National Conference of State Legislatures (NCSL) Task Force on Innovations in State Health Systems. Sen. Soholt has a B.S. from University of North Dakota and a Master's from South Dakota State University, is a registered nurse and is a Director of Women’s Health in a major health system. Jaime Bland, DNP, RN is the Chief Executive Officer for NeHII. Prior to being appointed to the position of CEO Dr. Bland was the Director or Operations, Innovation & Value for NeHII leading efforts in big data initiatives. Dr. Bland has over 10 years of experience in population health, clinical integration and leading clinical and operational teams. Dr. Rita Habib is currently health policy advisor to Senator Michael F. Bennet (D-CO). Dr. Habib practiced as a pharmacist at Allegheny Health Network (AHN) in Pittsburgh, PA, and held a role as the Health System Pharmacy Administration resident. Dr. Habib launched a pharmacist-led immunization clinic, designed a system-wide medication safety plan and managed key clinical aspects of AHN's lung cancer screening program. Terri Ripley is the Chief Information Officer at OrthoVirginia, she has over 30 years of Health IT experience. Terri serves the Commonwealth of Virginia as Treasurer of the Governing Body of Virginia’s Health Information Exchange, ConnectVirginia. Terri is a HIMSS Fellow, Chair of HIMSS Public Policy Committee, is past president of Virginia HIMSS and currently serves as Chapter Advocate and HIE Liaison for Virginia HIMSS. Terri received her undergraduate degree in Computer Science from Lynchburg College and her Masters of Information Technology from Virginia Tech.